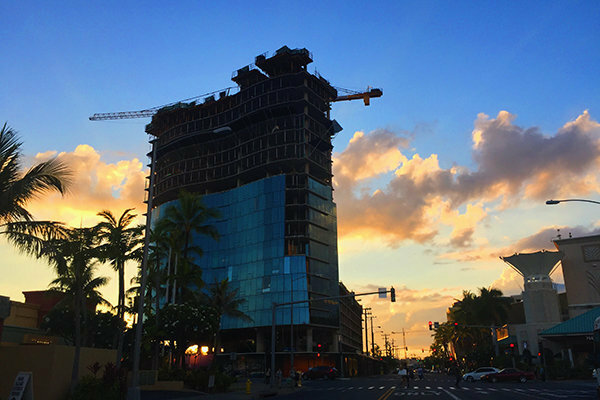 It doesn't take more than a quick glance toward the sky at Ward Village to realize that there's something truly remarkable happening in Honolulu. 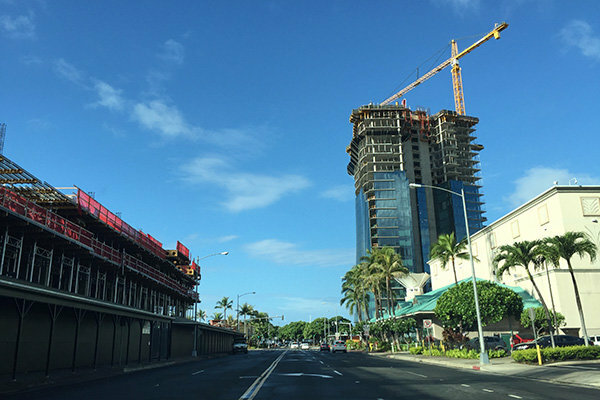 Amid the cranes, rebar, and bustling workers, Waiea, a residential tower in the heart of Ward Village, is quickly taking shape. 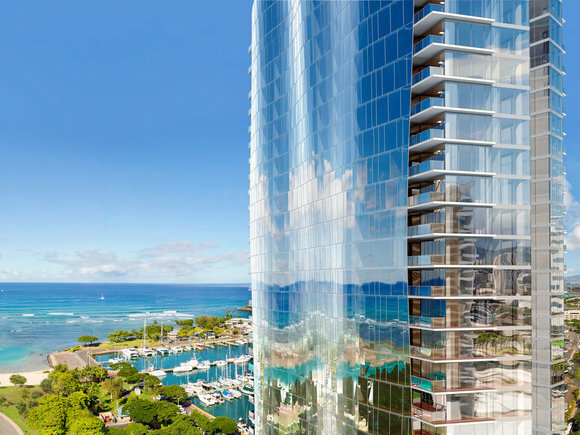 With its stunningly beautiful curved-glass façade, Waiea, which translates into "Water of Life" in Hawaiian, will soon become a landmark destination in Honolulu. 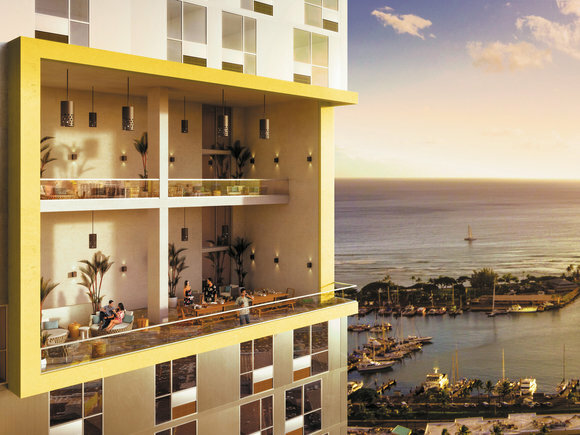 Conceived by award-winning Vancouver-based architect James K. M. Cheng, in collaboration with Rob Iopa and Honolulu-based WCIT Architecture, the designers and developers diligently worked to understand the history of the land and the community as they designed Waiea. You might not know it, but there's more to Waiea than its sleek lines. 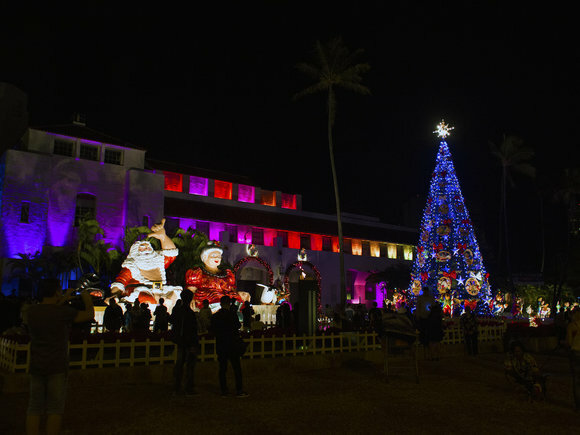 The building itself serves as an homage to the rich history of the land and sea, as well as as the Hawaiian community that once called this area home. "According to Hawaiian mythology, there was a father and a son who went through all of the islands—including right here at this location [Waiea]—to teach people proper fishing techniques, which included stewardship of the sea and net-making," said Race Randle VP of the Howard Hughes Corporation. "Waiea, from an abstract standpoint, is meant to depict the pair. From the ocean looking toward the tower, you'll see father with a fishing net draped over his shoulder, waiting to throw. 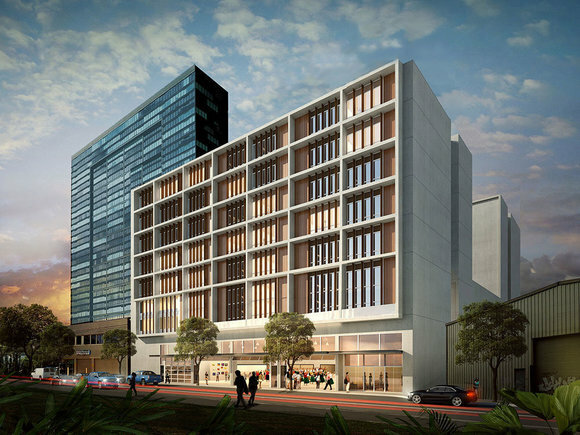 That was the thesis for this design, and that's why the building has this waving nature to it. The building rises up out of the water like someone standing in the shallows, ready to throw his net. 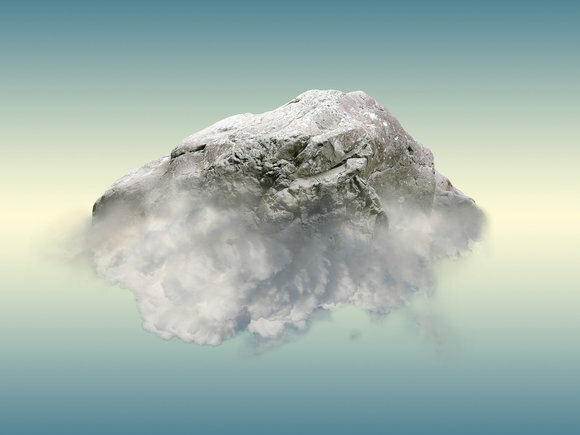 You'll even notice that the building itself flares out a bit towards the bottom. That's meant to signify the way the net would naturally extend. In addition to the depiction of the father and son fishing team, there are other elements of Waiea's design that take inspiration from the cultural history of this unique swath of Honolulu. 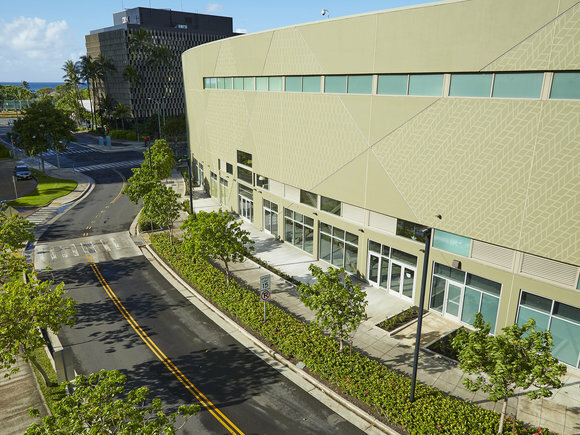 "On the mauka side of the building, when you look toward the parking garage, you'll see that the structure itself was meant to reflect a woven fishing trap," Randle added. "Historically, these traps were placed over the fish in shallow water to catch them. 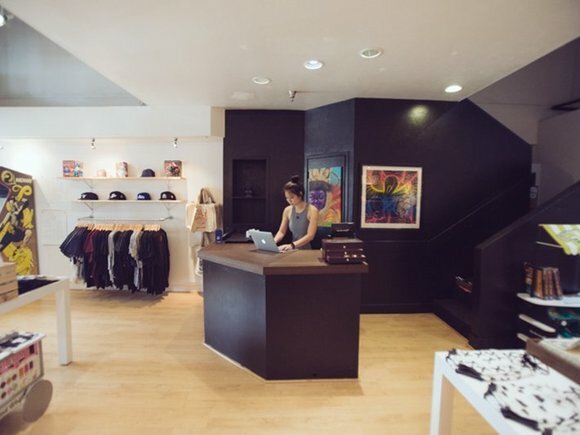 That's what helped to inspire this part of the building's design." 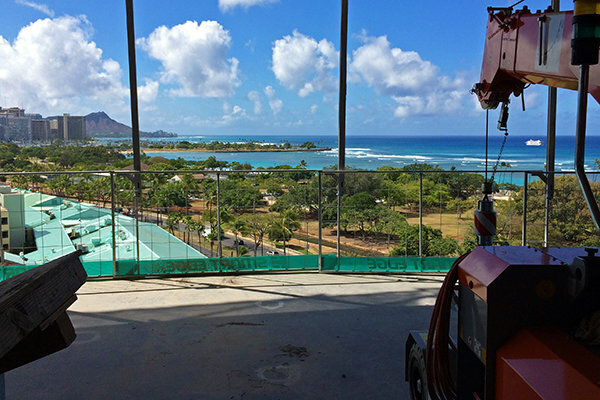 As a means to ensure that future developments at Ward are as sensitive to the environment as possible, the entire village is LEED certified, with Waiea striving to achieve a LEED Gold certification. 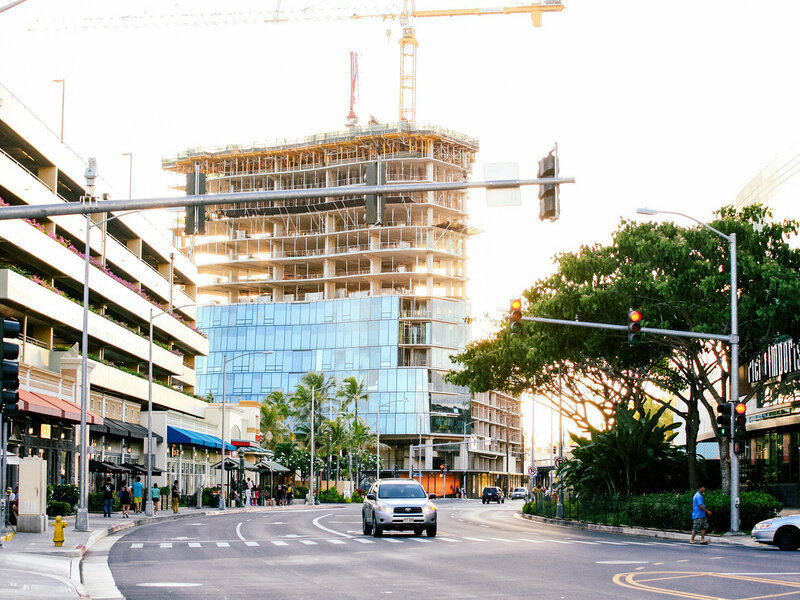 "I think it's great that The Howard Hughes Corporation is creating Hawaii's only LEED-certified neighborhood at Ward Village by establishing a clean, green, and sustainable anchor for a vibrant Kaka'ako," Honolulu Mayor Kirk Caldwell said. "This development will bring a new vitality and way of living that will benefit all of us who live, work, or play in one of the most transformative places in our city."